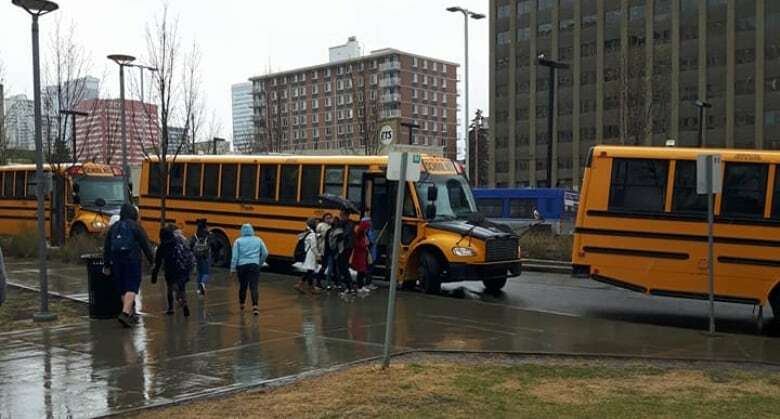 Multiple yellow school buses dropped off dozens of high school students at Edmonton's anti-abortion March for Life on Thursday, with many attending from as far away as Red Deer. At least four buses were seen in the vicinity of the legislature, with march organizers telling CBC News that several schools volunteered to bring their students to the event. 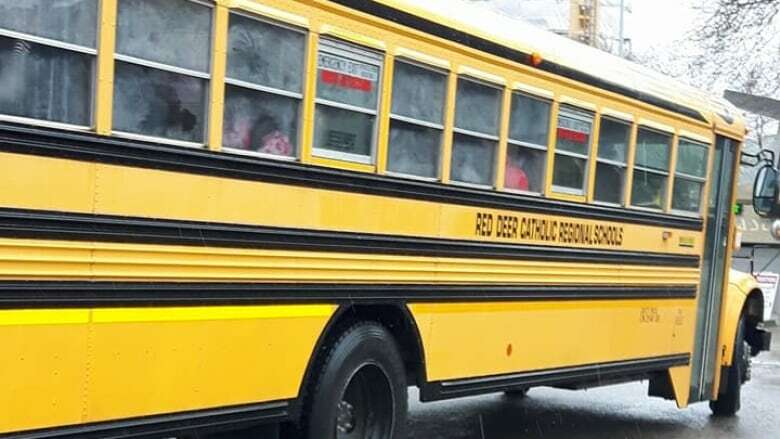 "We weren't expecting that many [kids from Red Deer]," said Pat Dube, president of the Alberta March for Life Association, who confirmed that multiple school buses came from the central Alberta city specifically for the anti-abortion event. "They knew ahead of time, and they were really happy to be doing it. So we didn't reach out to anybody to say, 'oh send all your kids,'" said Dube. "They organized it, they initiated it." At least one of those buses was labelled as being from Red Deer Catholic Regional Schools. 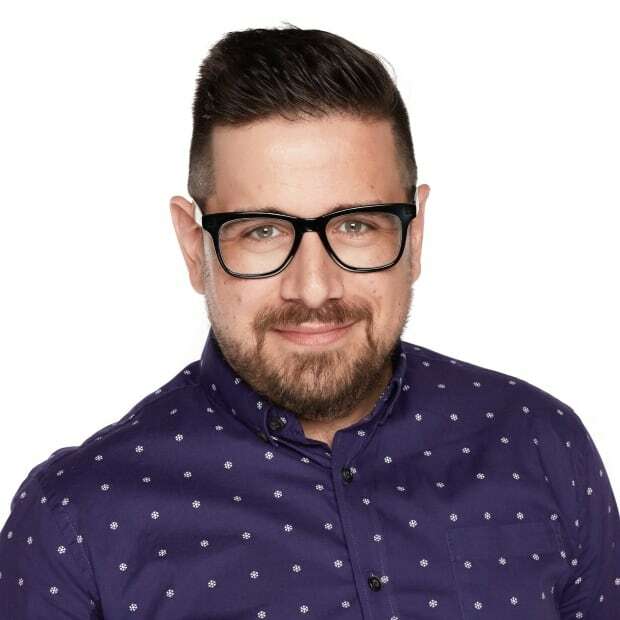 Social media posts from an instructor at the district's École Secondaire Notre Dame High School said he was accompanying students to the rally. The posts included pro-life hashtags. The same school faced criticism in 2017 after an anti-abortion group screened a video for students which drew parallels between abortion and the Auschwitz death camp in the Second World War. 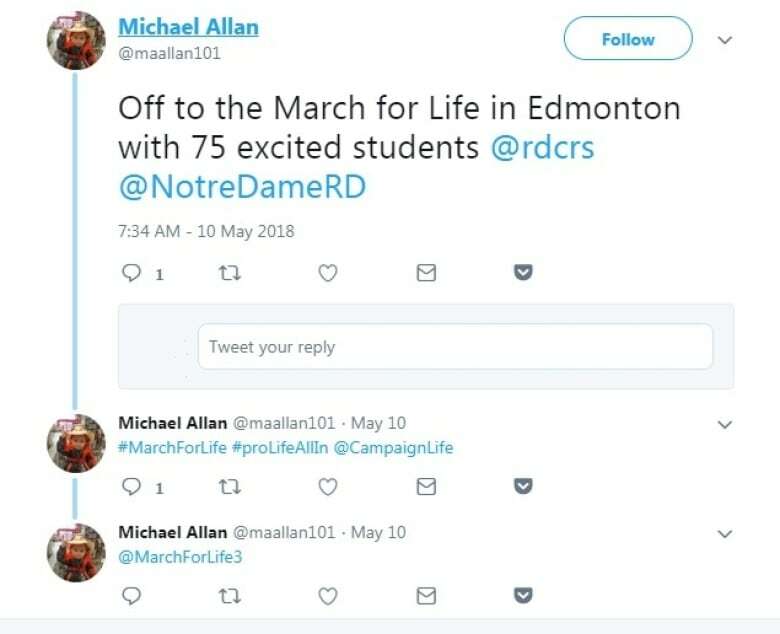 The school board would not provide any details on how the buses were paid for, but in a statement emailed to CBC News said, "parents/guardians agreed to send their child to the March for Life." The provincial government expressed concern that education tax dollars could have been used to pay for attendance, but also said decisions around student field trips are made by local schools and boards. "I don't believe protesting women's fundamental rights is a good use of student time. Nor do I think it's the best use of school resources — which should be directed to the classroom as much as possible," said Education Minister David Eggen in a statement. The Archdiocese of Edmonton told CBC News while it did not pay to bus students from Red Deer, it's in favour of the move. According to their website, "a special invitation is extended to our Catholic teachers and students." Despite "obviously political aspects" at an event like the March for Lives, Archdiocese Chief Communications Officer Lorraine Turchansky said it's appropriate for the school district to pay for high school students to get there. "It would be natural for [Catholic taxpayers] to support such an initiative," said Turchansky. The 2018 event is not the first time school buses have shuttled students to an anti-abortion march, according to Kathy Dawson, a board member with the Alberta Pro-Choice Coalition. However, only one of the buses appeared to be visibly labelled as belonging to a school district this year. "This isn't the first year," said Dawson, who also attended the march in protest dressed as a handmaid from The Handmaid's Tale TV series. "But this year... [many] were just the no-name buses." According to Dawson, several students she spoke with from the buses told her they were from Notre Dame High School and St. Joseph High School, both in Red Deer. March organizers hope to see students from other Alberta cities emulate Red Deer at future rallies. "Next year I think it'll be lots of Edmonton Catholic School kids," said Dube.